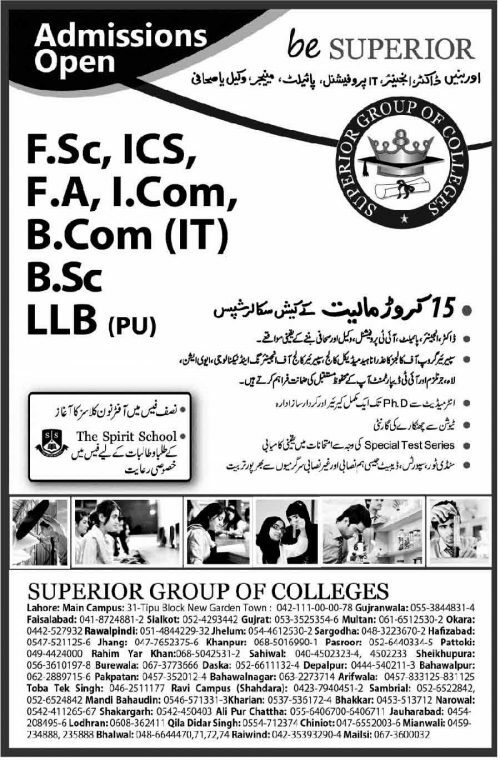 Superior Group of Colleges opens Admissions for Intermediate F.sc, I.com, Ics, B.com, Bsc, LLB Urdu. The students who are free from their Matric can apply because college starts regular classes for intermediate for the session 2019-2020, Limited seats scholarships are available. Superior Group of Colleges Admissions open in all campus of Pakistan.